A Thanksgiving without pumpkin pie sounds like a sad, pitiful meal, but that may be your Thanksgiving this year if you can’t get your hands on some canned pumpkin. That’s because there is a strong possibility of a canned pumpkin shortage this Thanksgiving. Once again, thanks, global warming. Morton, Illinois, a town that inexplicably produces 85 percent of the world’s canned pumpkins, experienced more than twice its average rainfall last June. Additionally, the heavy rain also bred disease in the pumpkin crop, Mohammad Babadoost, a University of Illinois at Urbana-Champaign plant pathologist, told The Guardian. As a result, Morton’s pumpkin farmers have yielded about one third less than their usual crop. Longtime Illinois climatologist James Angel told The Guardian that heavy June rainfall has developed into a pattern in the past few years, and is likely to continue, and said, “I think that’s pretty strong evidence that [climate change is] occurring.” Great. Roz O’Hearn, corporate and brand affairs director of Libby, a major distributor of canned pumpkins, told Time that once all of their product is shipped this year, there won’t be any more canned pumpkin available for sale until next year’s harvest in October, 2016. In other words, get your pumpkins and get them fast. 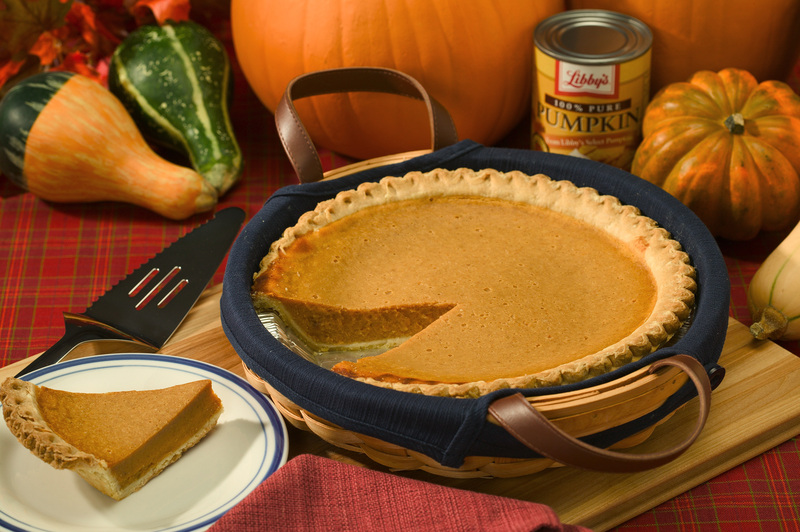 Canned pumpkin is an integral ingredient in pumpkin pie, and pumpkin pie is an integral ingredient in a happy Thanksgiving. This canned pumpkin scarcity could affect Thanksgivings nationwide, creating many pumpkin pie-less Thanksgivings and an overall American tragedy. But don’t worry, basic Starbucks lovers, your artificially flavored pumpkin spice lattes are safe. I propose to call this pumpkin shortage “The Great Pumpkin Drought of 2015,” mostly because it sounds really dramatic and I can tell my grandkids that I lived through a pumpkin scarcity. It’ll be like the Great Depression, but with no pumpkins instead of economic turmoil. The pumpkin pie scarcity has an even greater chance of affecting Christmases, especially after the Thanksgiving pumpkin-buying wave passes. For those of you who think you’re safe because you buy pre-made pumpkin pies, don’t be so smug. One, that’s disgusting and you could probably make a better one yourself, and two, every pumpkin pie calls for canned pumpkin, and most canned pumpkins come from Morton, Illinois. Do the math. Nobody is safe. That is, unless you’re allergic to pumpkin. If so, congratulations on being immune to the suffering that will surely be felt by millions of Americans. As many canned pumpkin providers are recommending, stock up on canned pumpkin as soon as you can. Prices may be higher, but the canned pumpkin will taste all the sweeter when you think of all the losers who waited too long and are left to eat empty pie crusts at Thanksgiving. And the sooner you go pumpkin shopping, the less likely you are to get into a Black Friday-style catfight with someone over the last canned pumpkin. We all know the true meaning of Thanksgiving is turkey and pumpkin pie, so don’t let this canned pumpkin shortage dampen your Thanksgiving. We are Americans and we persevere. Now go forth and buy your pumpkins.